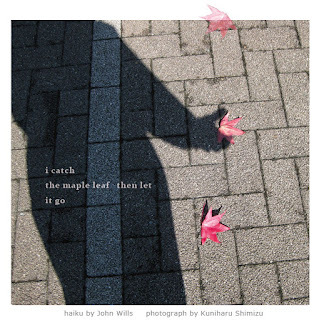 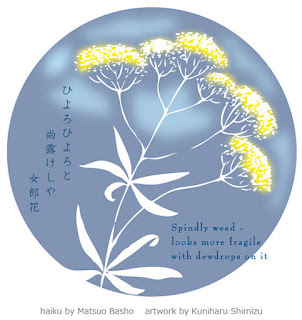 The 10th haiku from "Sarashina Kiko". 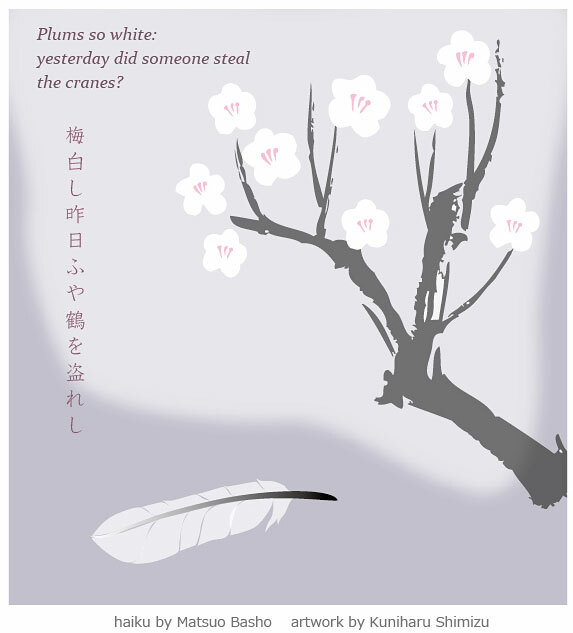 The 8th haiku from "Sarashina Kiko". 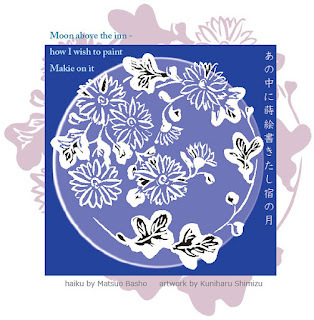 The 7th haiku from "Sarashina Kiko"
The 6th haiku from "Sarashina Kiko"
The 4th haiku from "Sarashina Kiko". To appreciate this haiku, this link about abandning old women is useful. 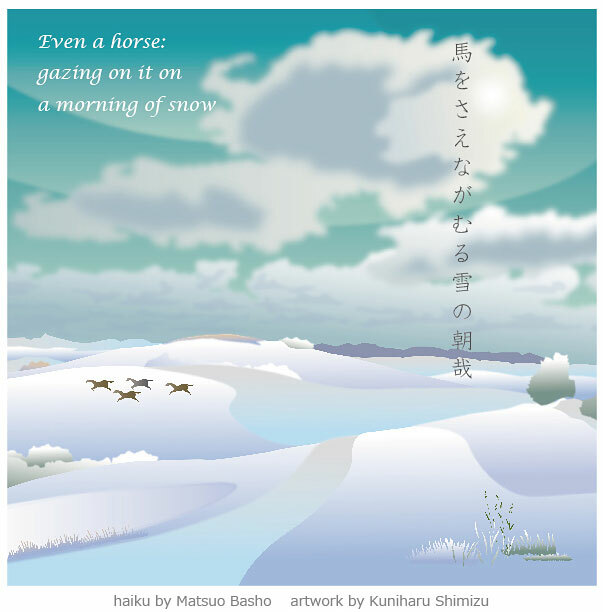 The 3rd haiku from "Sarashina Kiko". The 2nd haiku from "Sarashina Kiko"
I am starting a new series of haiga, which will include Basho's haiku appeared in his travel journal "Sarashina Kiko". 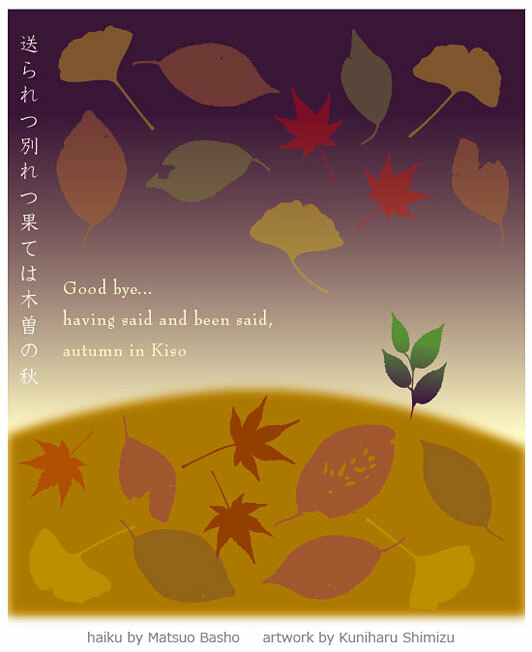 Since I could not find any English translation on the web, I do it myself. Here is the 1st one. 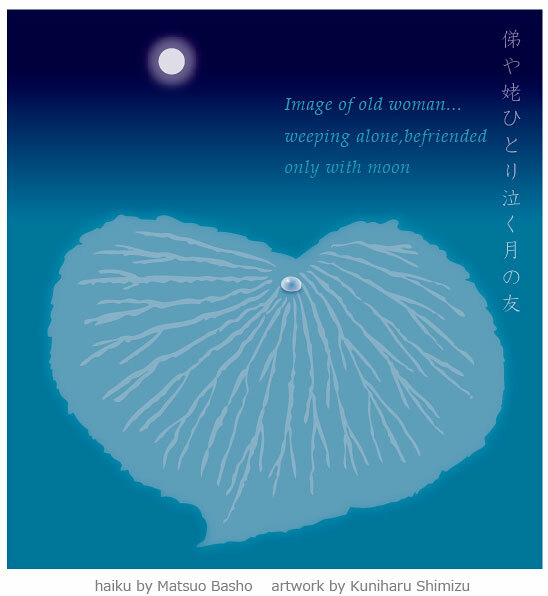 Certain scenes make you stop, and you ask yourself, "What is it? Is this a haiku moment?. 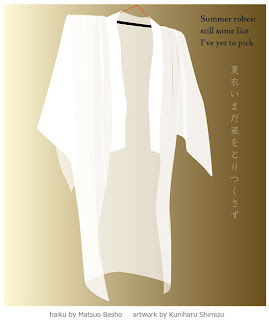 You cannot really pin it down. The photo here shows such a scene, to me at least. Haiku by John Wills. 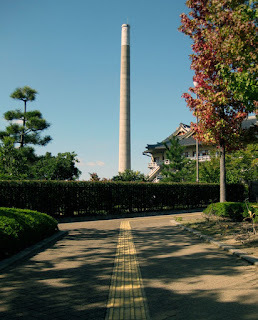 Photograph by myself. 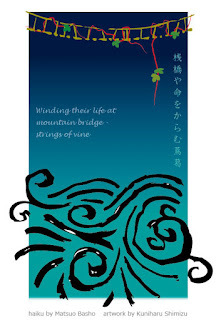 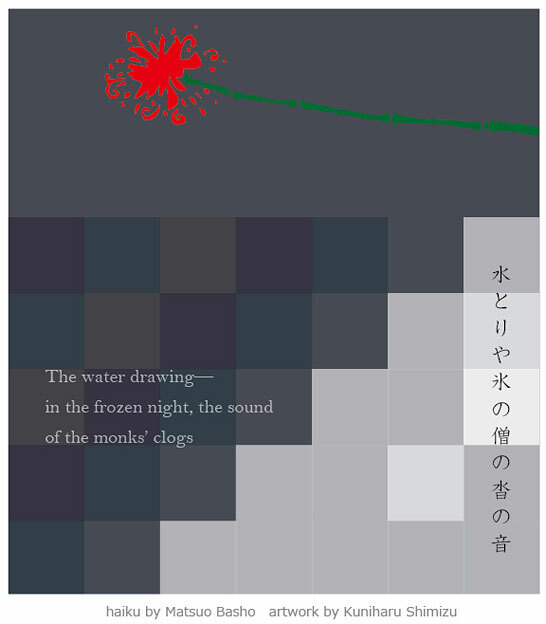 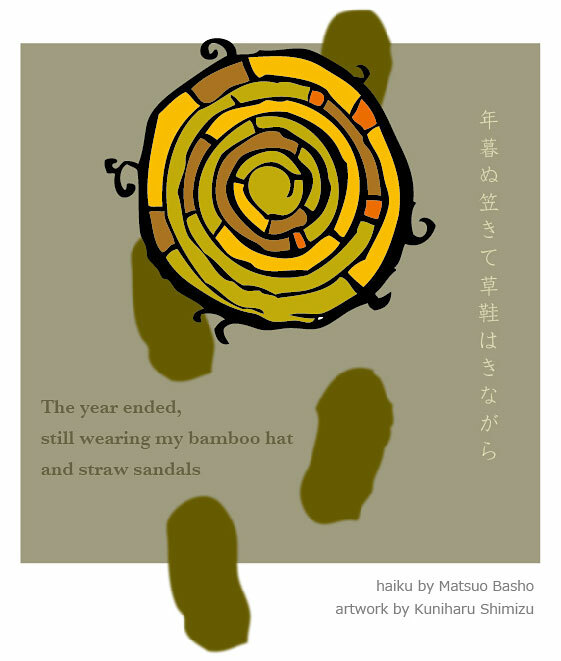 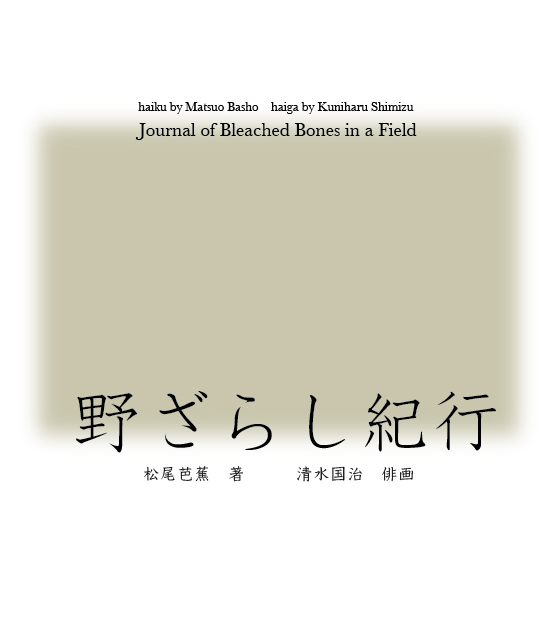 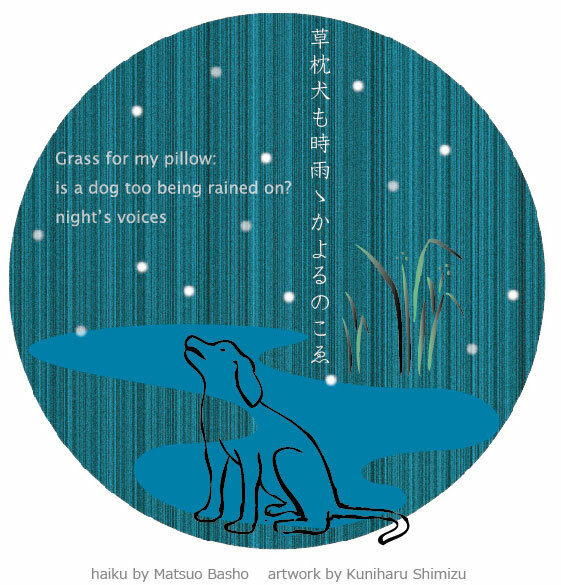 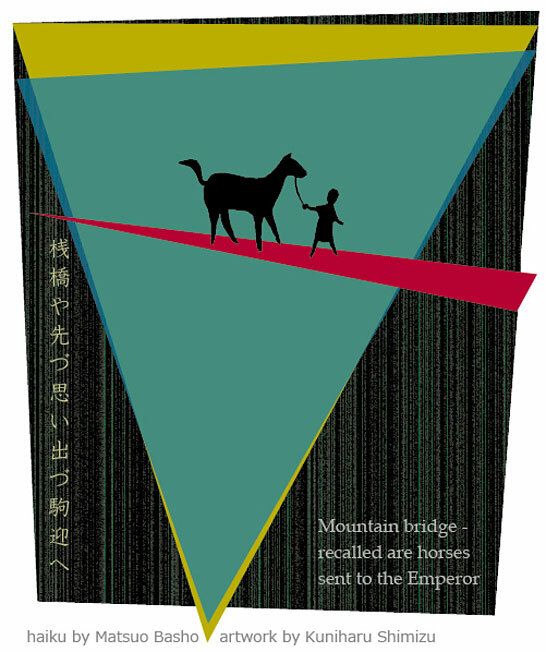 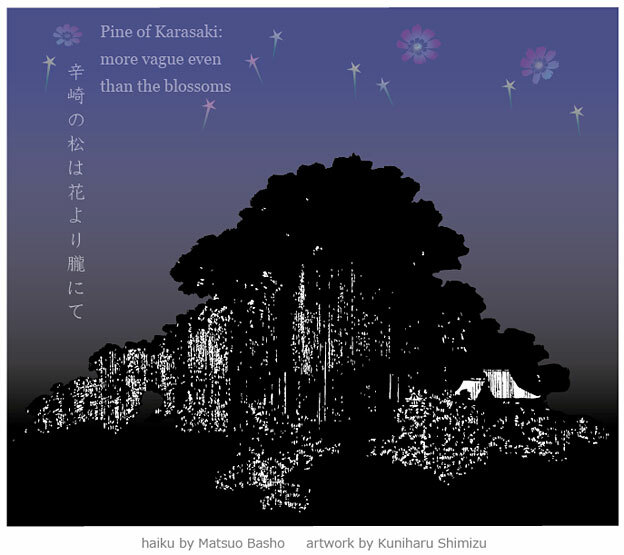 For almost a month and a half, I worked on Basho's haiga. Now here is something for a change. Autumn is deepening everyday here. 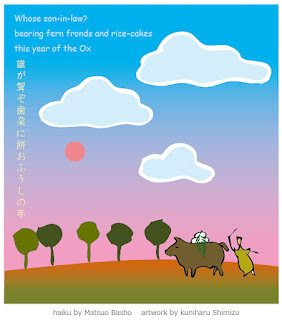 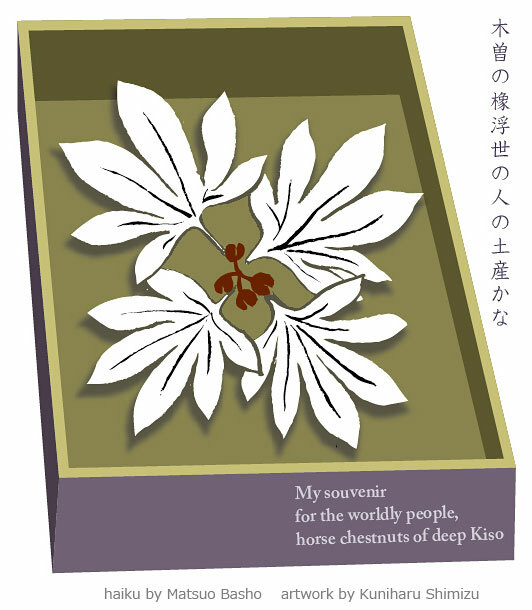 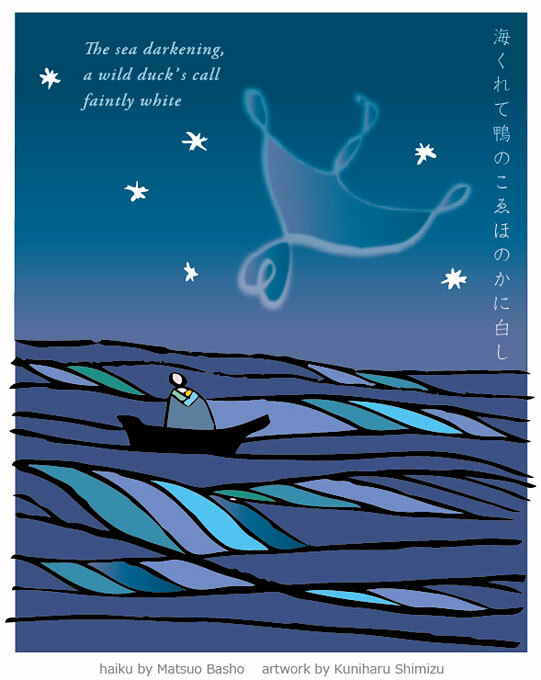 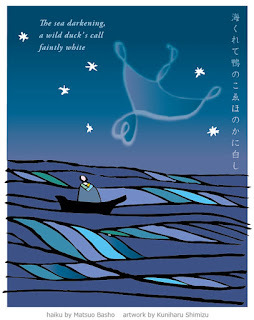 The cover of haiga book "Nozarashi Kiko"
I have put together all 45 haiga in "Nozarashi Kiko" in a haiga PDF. 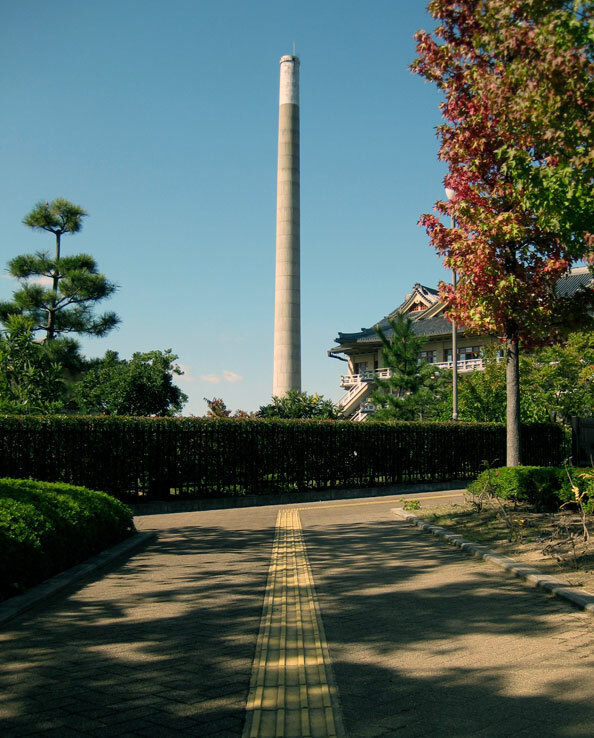 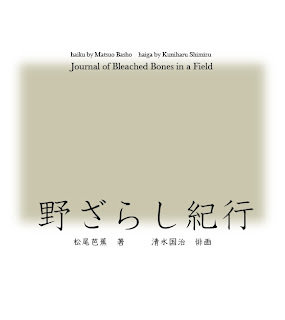 The image above is its cover. 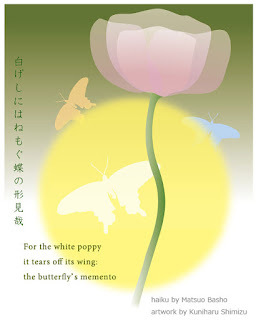 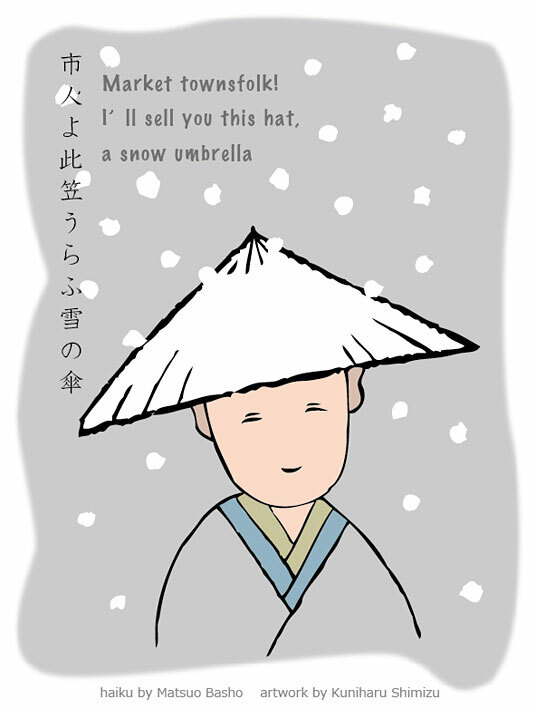 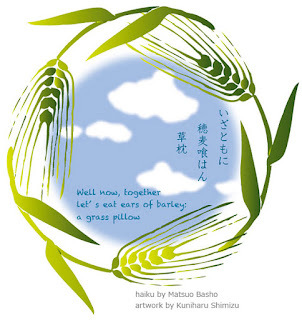 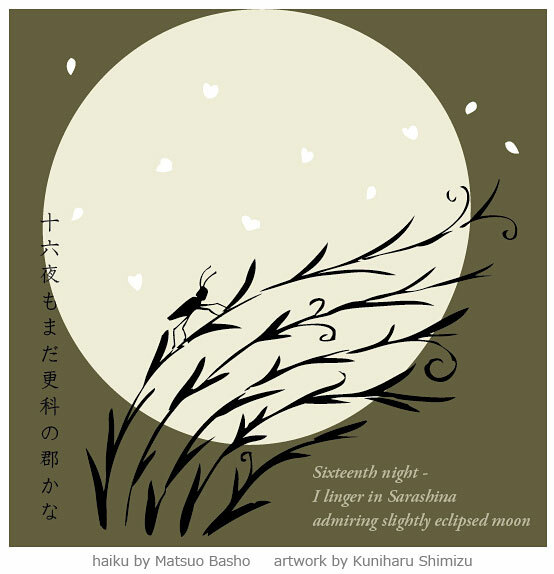 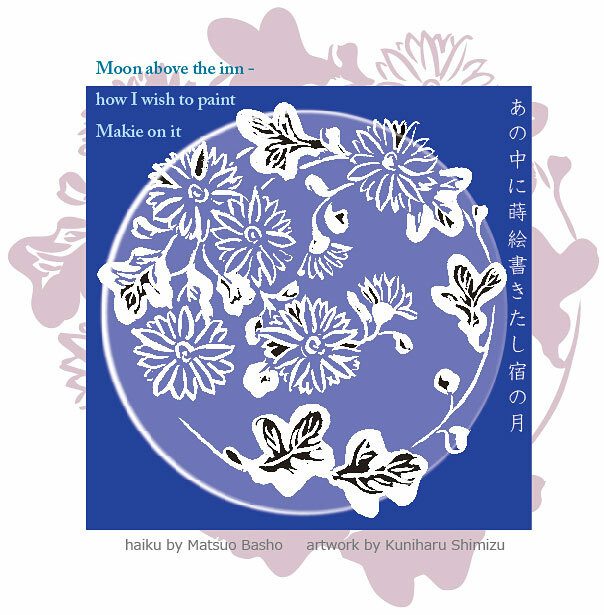 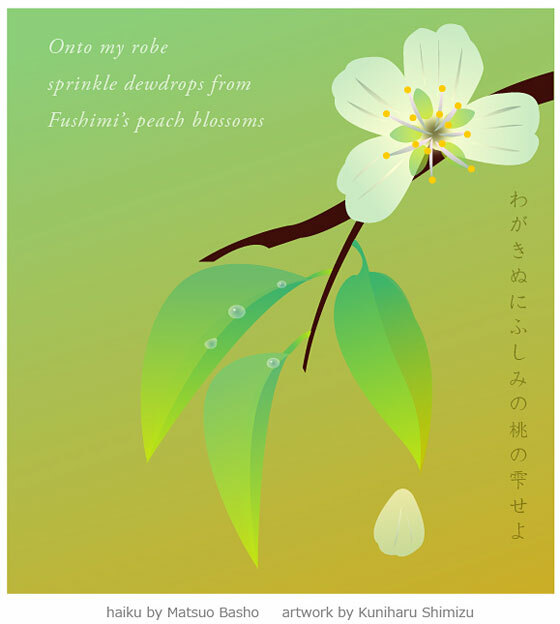 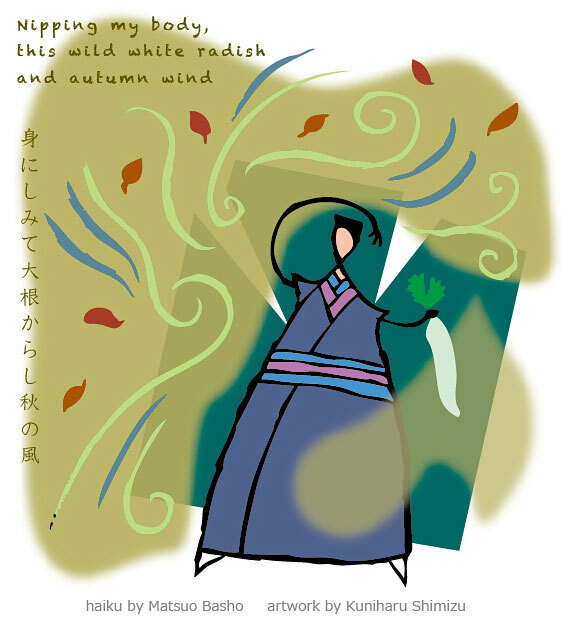 The 45th and the last haiku from "Nozarashi Kiko"
I have put together all 45 haiga in PDF file. The 44th haiku from "Nozarashi Kiko"
The 43rd haiku from "Nozarashi Kiko". 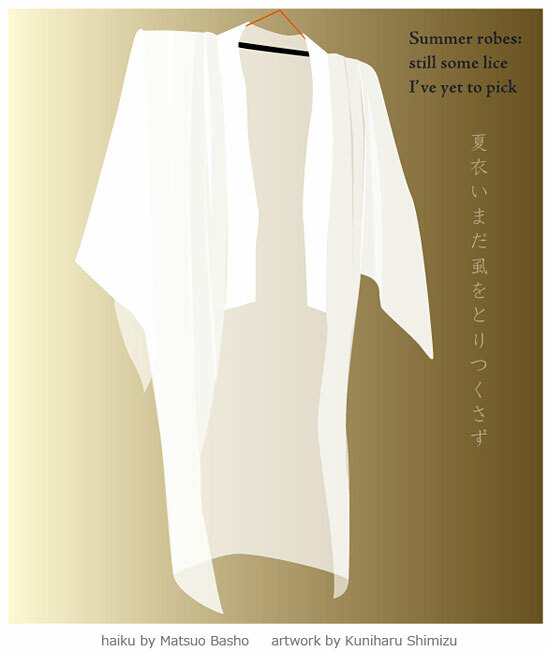 The 42nd. haiku from "Nozarashi Kiko"
The 40th haiku from "Nozarashi Kiko". 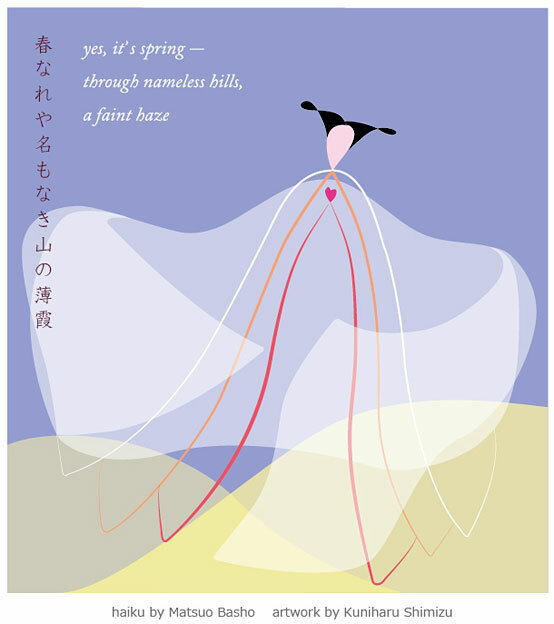 The 39th haiku from "Nozarashi Kiko". 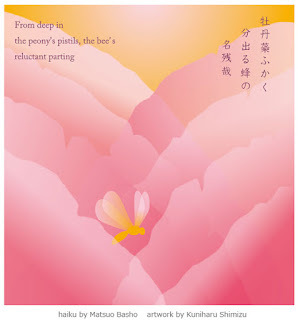 The 38th haiku from "Nozarashi Kiko". 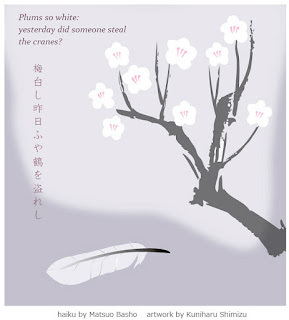 The 37th haiku from "Nozarashi Kiko"
The 36th haiku from "Nozarashi Kiko". 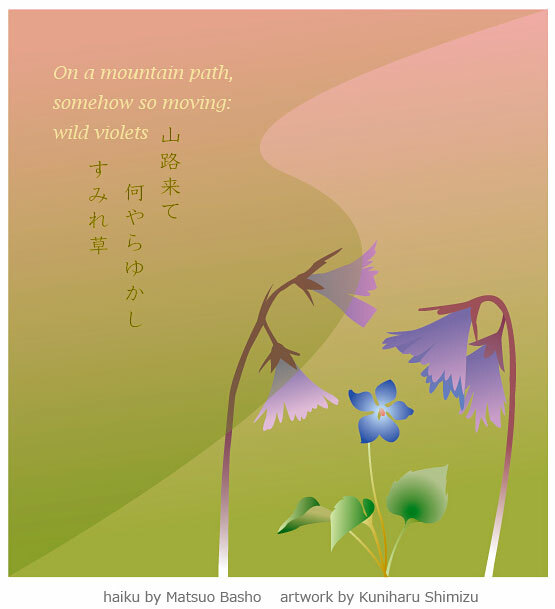 I made this image of this haiga many years ago for the following haiku.I changed a ittle, like the size, the colors, and added dews. 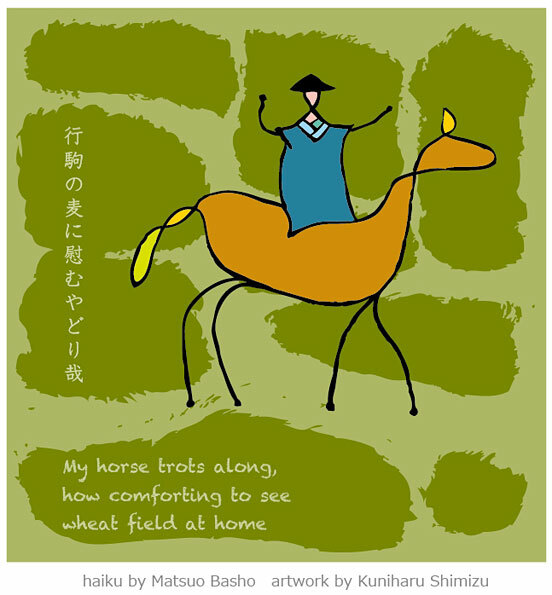 The 35th haiku from "Nozarashi Kiko". 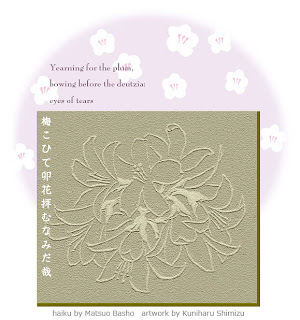 The 33rd haiku from "Nozarashi Kiko"
The 32nd haiku from "Nozarashi Kiko"
The 31st haiku from "Nozarashi Kiko". 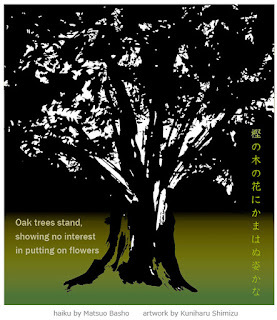 The 29th haiku from "Noarashi Kiko"
The 28th haiku from "Nozarashi Kiko". 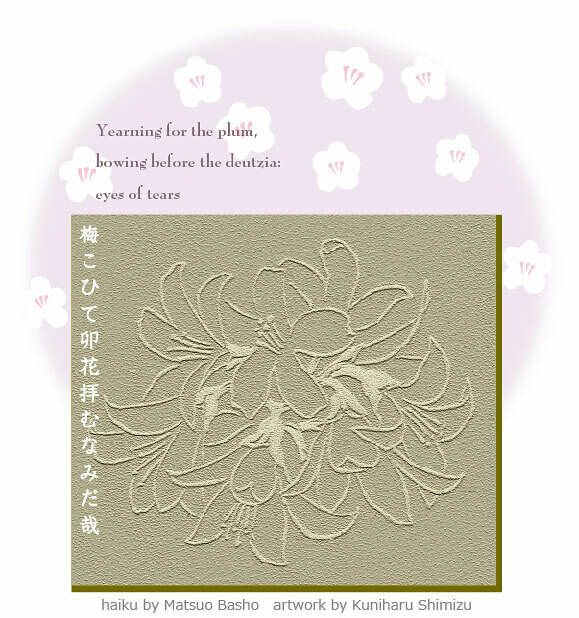 The 27th haiku from "Nozarashi Kiko"
The 26th haiku from "Nozarashi Kiko"